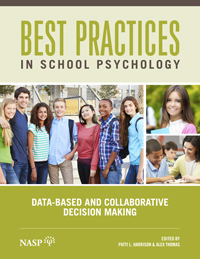 The newest edition of school psychology's core body of knowledge is here! Is it on your tablet yet? 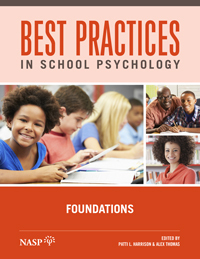 This 4-volume electronic set of Best Practices in School Psychology is your staple resource from grad school to retirement! With over 2400 pages of the most current, relevant, and valued information, this set is sure to be essential in your daily practice. 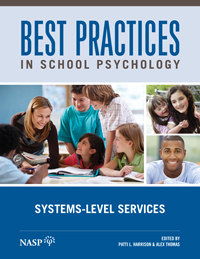 Volumes are organized by topic and subject area and focus on data-based and collaborative decision making, systems-level services, student-level services, and school psychology foundations. Practitioners, graduate students, interns, and faculty will appreciate the thorough coverage contained in this set. This combination set includes a mobile app and a desktop version of the four-volume set, so you can take it with you wherever you go! 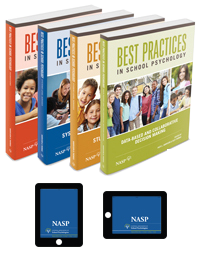 The app version is compatible with full size iPad and Android full size tablets* and accessed through the NASP Publications App. The app is free to download from the Apple App Store or Google Play Store. 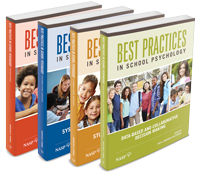 After purchasing the electronic edition of this 4-volume set, the books will automatically be accessible in your NASP Publications App within an hour. The desktop version comes to the customer personalized with a watermark, and the protected documents are automatically licensed for three (3) separate installations (to one customer only). Once the electronic set is purchased, a download link will come to the e-mail address associated with your NASP account. This e-mail will also contain next steps for transferring the document(s) to your desktop. On a PC, the secure document opens easily in Adobe Acrobat or Adobe Reader. On a Mac, the secure document is accessed using AW Reader, a free app available in the Apple App Store. We recommend you download AW Reader before purchasing the electronic Best Practices set. The electronic set is nonreturnable. If you have questions or concerns regarding usage, please call the NASP office before purchase. *On smaller tablets, the text may not configure correctly, particularly in tables. 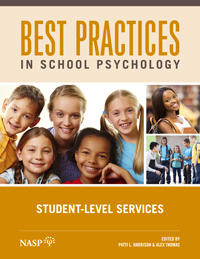 Understand your student body and all the underlying mechanisms through prevention programs, interventions, and family&ndash;school collaborations.